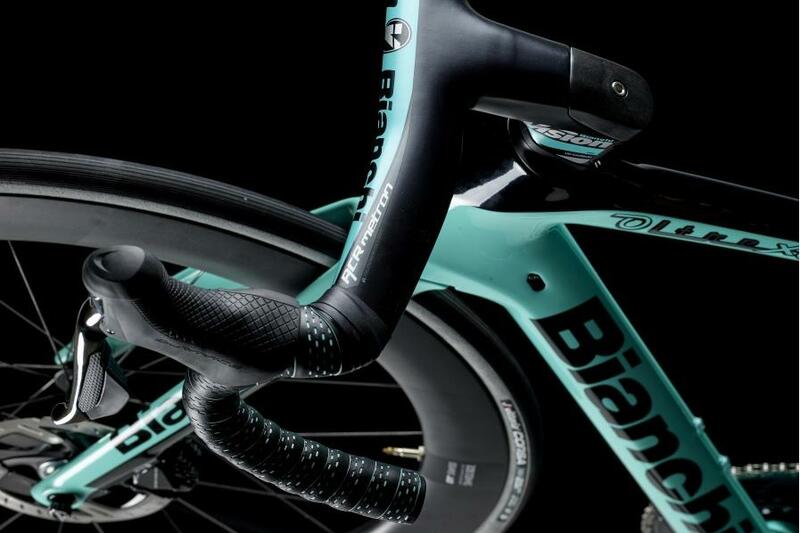 One of the standout bikes of the past couple of years has been Bianchi's flagship Oltre XR4. I rode it around Mallorca last spring and was blown away with its combination of pure speed and silky smoothness, thanks to the integration of the Italian company's bump-absorbing CounterVail technology. And it's now available with disc brakes. For better or worse, there's no denying disc brakes are getting a lot more popular. If you watched the Tour de France you'll have noticed more disc-equipped bikes than years past, and we're getting more interest in disc brakes here at Bespoke. 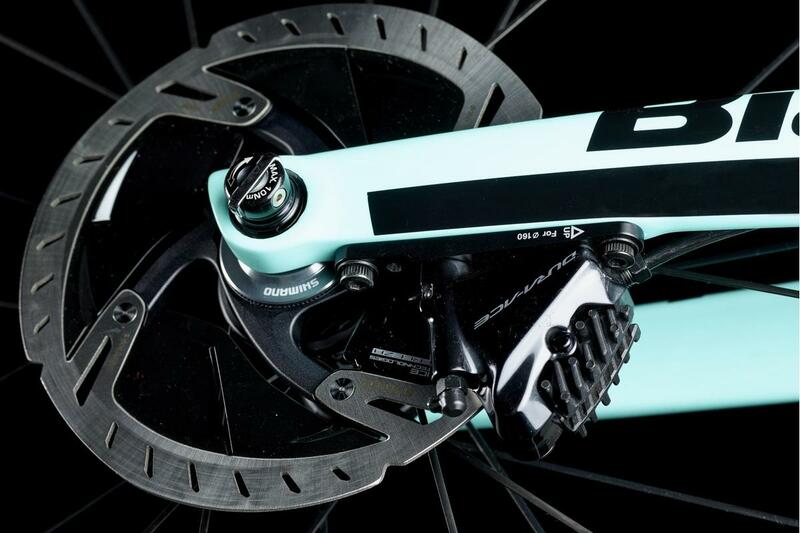 We've seen Cannondale, Trek and Specialized embrace disc brakes and not to be left behind, the Oltre XR4 gets the disc brake treatment. 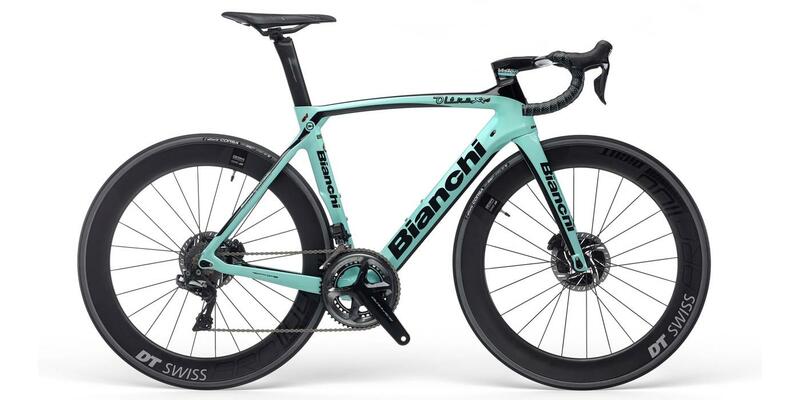 The new bike has been tested and developed with the Lotto NL - Jumbo WorldTour team, which had a really good Tour de France, though they were riding the regular rim brake Oltre XR4. It's clear not all pros and teams are ready to switch to disc brakes just yet. Visually the new bike looks just like the regular rim brake version. It has the same aero shaped profiles, deep bladed seatpost and rear wheel hugging seat tube. Bianchi says the use of disc brakes allow it to maintain a clean aero form and increase the tyre clearance, which is now up to 28mm. The disc brakes are fitted using the flat mount interface that is now commonplace on modern disc brake bikes, with 12mm thru-axles front and rear. All cables and hoses are internally routed, the frame compatible with Di2 and EPS. Also present is the same CounterVail technology, a special carbon fibre layup that is designed to provide a smoother and more comfortable ride by eliminating a lot of the vibrations that can shake you to bits on a rough road. 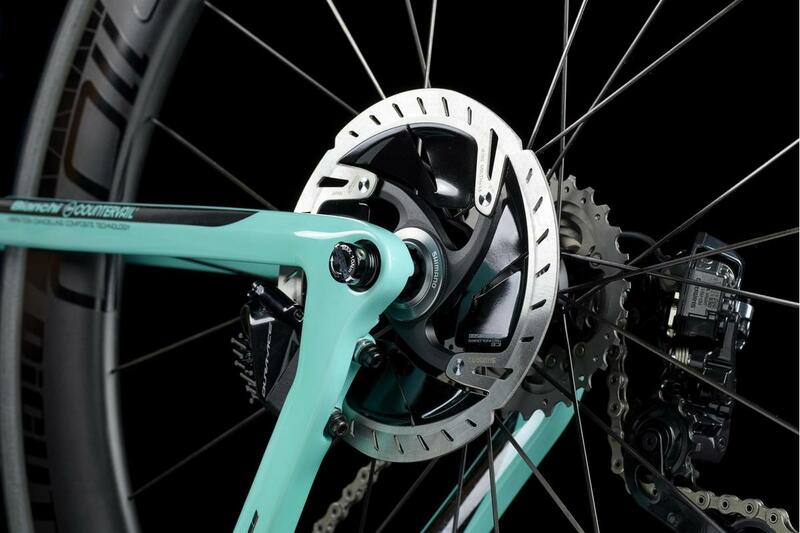 The Oltre XR4 Disc is available in seven sizes, 47 through to 61cm, and a 55cm frame weighs a claimed 990g. The new fork weighs 420g. The new frame is available with the stunning Vision Metron 5D ACR handlebar. 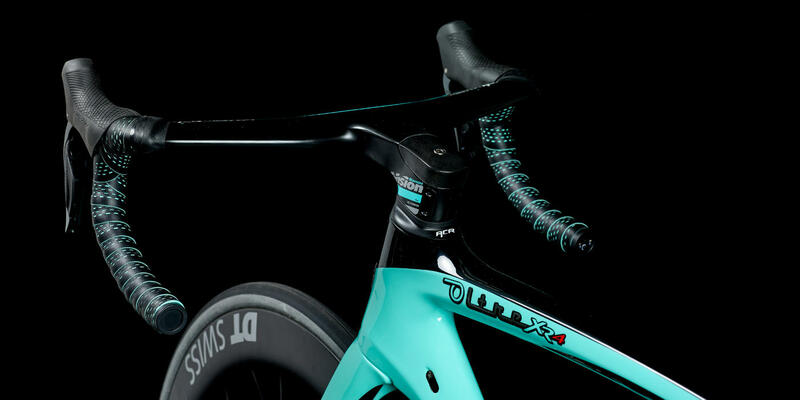 It's a one-piece carbon fibre handlebar and stem designed to maximise aerodynamics, both by the careful shaping of the bar profiles but also the internal routing of the gear cables and brake hoses. If you want to talk to us about the new Oltre XR4 Disc don't hesitate to contact us or drop into one of our three London stores.